Hanging Geraniums are amongst our top sellers. 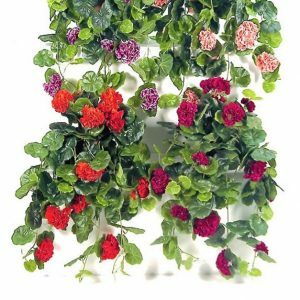 Hang 2 in a hanging basket just above head level and watch everyone admire these realistic vines. We have the range of colours that you might typically find in the garden. Red, Cream, Lilac, Lilac/white, Peach. Very popular.. 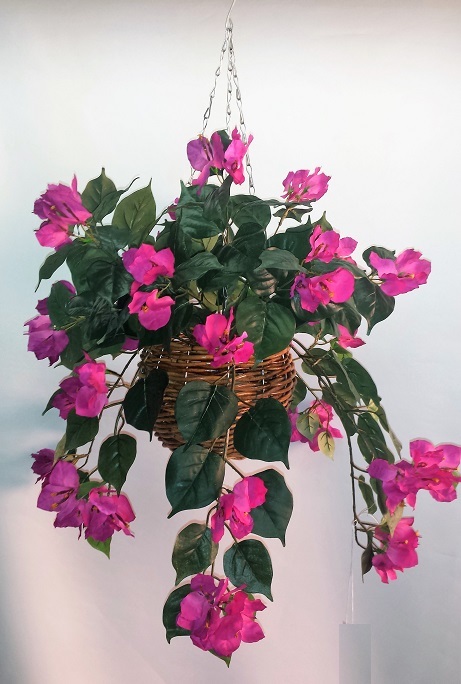 Artificial Geranium Vines in cane hanging basket with realistic flowers and leaves. They look absolutely spectacular and are perfect for hanging in office spaces, or any other room of your home. Artificial Geranium Vines in cane hanging basket with realistic flowers and leave are amongst our top sellers. 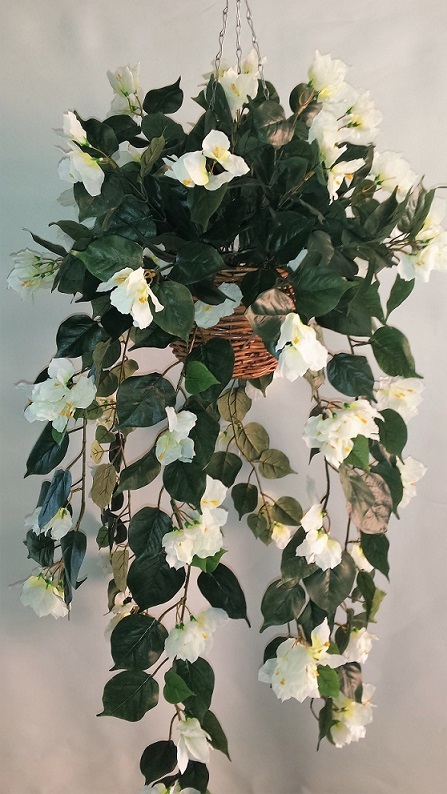 Hang 2 in a hanging basket just above head level and watch everyone admire these realistic vines. We have the range of colours that you might typically find in the garden. Red, Cream, Lilac, Lilac/white, Peach. 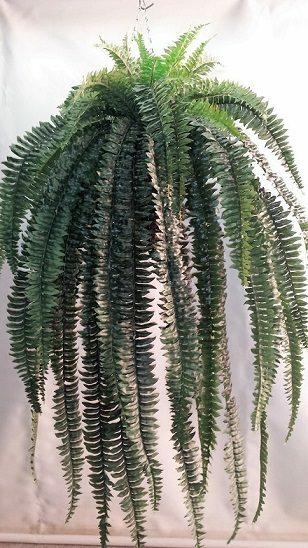 Very popular..
A wonderful addition to any decor and will look lovely in a home or office entrance.